Car owners experience a strange disconnect between their car and other people knowing who owns it. While various branches of civic government know who owns what car, you can easily walk past vehicles on the street without a clue who the owner is, and no way of easily contacting them. Windshieldink hopes to change that. It’s a new app that allows a person to make themselves reachable via their license plate number. 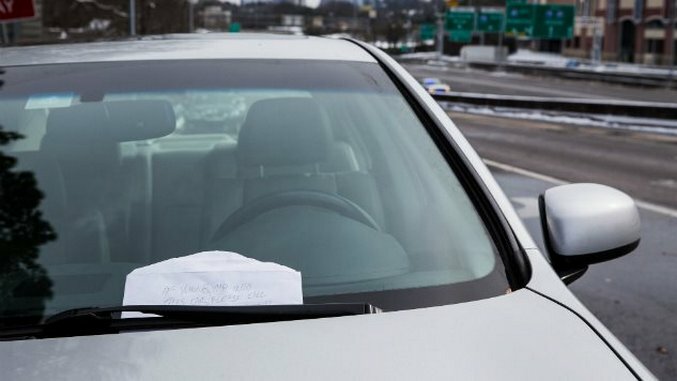 By doing so, it hopes to make it easier to notify someone if their car is about to be towed, or even simply just to say hi to a new parking neighbor. It’s all part of an idea devised by the husband and wife team of Ken and Glenna Kuchling. After their immediate concern for the man and his family, the couple realized there was no way for a person to contact one about a situation with their car. Many years later, in 2015, the pair realized that a license plate messaging platform could offer far bigger uses than simply messaging someone about their car. “These other applications involve the transportation businesses and crowdsourcing road safety and that is the direction we are taking the company,” Ken says. Unlike other tech start-ups, the couple started out with no real tech background or experience. Ken worked as a mining engineer for more than 30 years, while Glenna worked as an executive assistant. Working on Windshieldink became a learning experience, but their tech inexperience was also an advantage. “In some respects we feel that not having a tech background became a positive since our vision for the app was to make it simple to use without overwhelming users with numerous menus, icons and dropdowns,” Ken explains. That’s reflected through the app’s simple to use interface. It works internationally, too, recognizing license plates around the world. Currently, its SMS text messaging service is only available in North America, but email and push notification options are accessible to other users. Such flexibility is vital for Windshieldink to be able to grow as an established tool for car owners. “Our target user base consists of two groups; the public and business sector. We are looking to grow both bases simultaneously,” Ken says. While the concept is entirely new and needs some explanation, there’s plenty of room for growth. The team’s plan is to conduct public growth marketing via social media, mainstream media awareness, influencers and, in the future, promotions and contests. The eventual plan is to see more businesses adopt it, with public growth also an important part of Windshieldink’s development. New services are planned for the app but will be implemented further down the line, once the platform has grown sufficiently. It’s certainly an interesting idea and one that almost works as a kind of insurance policy, ensuring other people can keep an eye on your vehicle, even when you’re not physically nearby. Perhaps most importantly, it could make all the difference for drivers with medical issues, if someone happens to come across them in distress. Windshieldink is available for iOS and Android, and is both free to download and free to use.